The U.S. Department of Labor has announced an 18-month extension from Jan. 1, 2018, to July 1, 2019, of the special Transition Period for the Fiduciary Rule’s Best Interest Contract Exemption and the Principal Transactions Exemption, and of the applicability of certain amendments to Prohibited Transaction Exemption 84-24 (PTEs). This follows public comment on a proposed extension that was published in August. The extension gives the Department the time necessary to consider public comments submitted pursuant to the Department’s July Request for Information, and the criteria set forth in the Presidential Memorandum of Feb. 3, 2017, including whether possible changes and alternatives to exemptions would be appropriate in light of the current comment record and potential input from, and action by the Securities and Exchange Commission, state insurance commissioners and other regulators. The President directed the Department to prepare an updated analysis of the likely impact of the Fiduciary Rule on access to retirement information and financial advice. This post originally appeared on the National Life Group Main Street blog on 3/9. By Maria McLendon. 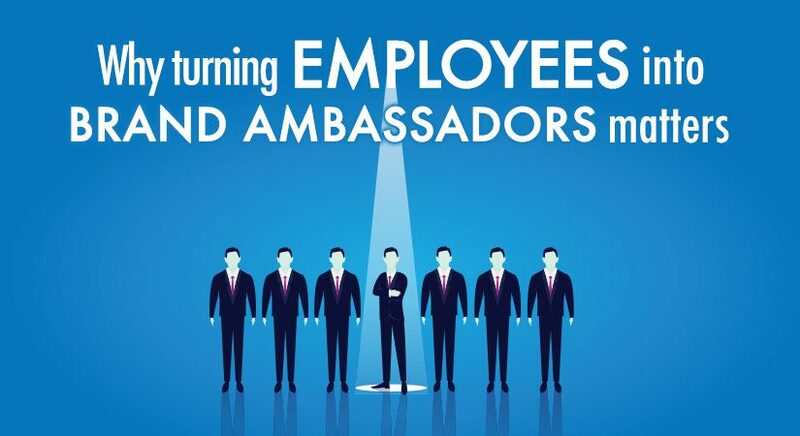 Why turning Employees into Brand Ambassadors matters? Typically, you might think of brand ambassadors as someone who promotes or buys your product/services and shows consistent support online. That support can be through social media channels, email, review sites, and other services. While that is a somewhat accurate view, many companies fail to realize how important turning their own employees into brand ambassadors is for their brand success. The relationships your employees have with their networks – which likely include potential customers, prospects, and hires – are stronger than any relationship the people in their networks may have with your brand. Yet, before we dive into why getting employees to be brand ambassadors matters, let’s clearly define exactly what it means. A brand ambassador is someone who promotes a brand and its products to their network with the objective of increasing brand awareness and driving sales. Historically, a brand ambassador was typically a celebrity or someone with a good amount of name recognition who was paid for their efforts to promote a brand or products. Yet, this definition is expanding and has expanded to employees of an organization. In the past, notable ambassadors for businesses mainly have been founders and executives. However, in recent years and with the rise of social media, non-executive employees from all departments have and can become effective brand ambassadors. There certainly has been a shift and expansion in who is considered a brand ambassador and for businesses, employees should be the top candidates. By turning and enabling employees to become brand ambassadors, you can greatly increase marketing and social reach of your company. Additionally, a Nielsen study showed that 84% of people trust recommendations from friends, family, colleagues over other forms of marketing. Now, if your company has a few hundred employees who are active brand ambassadors (sharing content, promoting job and the products, etc. ), you can easily grow your company’s overall marketing and social reach exponentially. Another interesting stat, was employees social followers are 7x more likely to convert on the content that is shared (source). This also goes back to the Nielsen study, that people trust recommendations from people they are connected. Yet, besides giving a boost to the number of leads, the quality of those leads is also improved. Because your employees have authentic relationships with their followers, they have a more direct and trusted connection to your targeted demographic. Your employees now become the extended lead generators for your company and because of that, the quality of those leads is greatly improved. Another big to get your employees as brand ambassadors that is often overlooked, is the increase of social recruiting.Your company and others are always looking for top talent to bring to the team and what better way through current employees?If your employees are active brand ambassadors, consistently sharing and talking about the value of their workplace, will certainly attract new talent and candidates who are much more eager to accept a potential job offer. Many enterprise level companies might not think they have a need for improved social recruiting because their established brand is strong enough. However, even top tier level company job pools can be improved by positive reinforcement from employee brand advocates. Better to be overwhelmed with excited and high-level quality job candidates then struggle to find any that qualify.